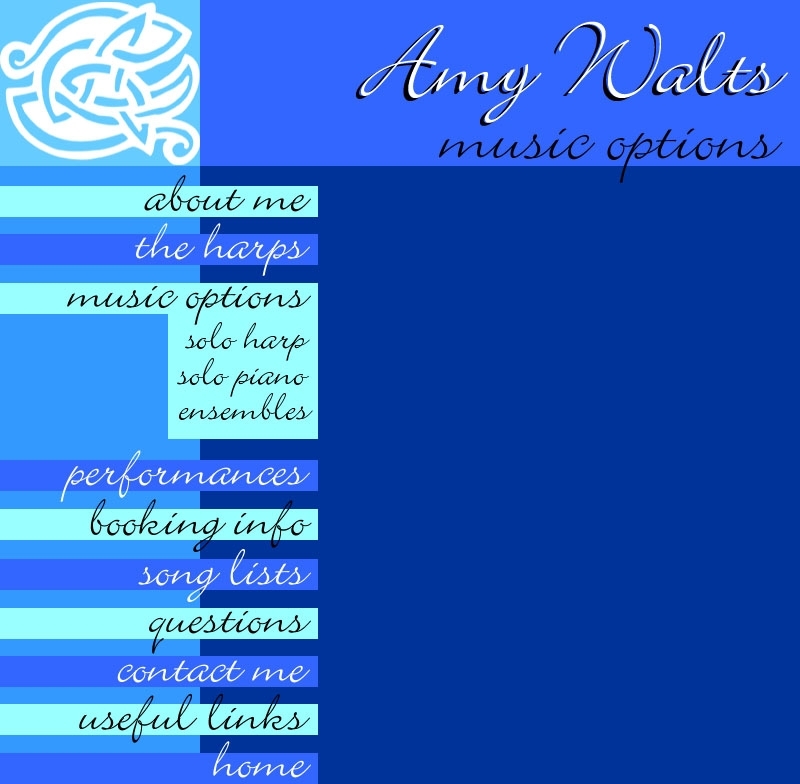 I can also provide piano music. 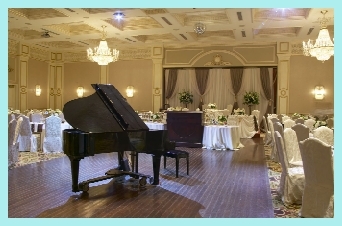 If your venue hasn’t got a good piano, or perhaps no piano at all, I can bring my wonderful Yamaha electric grand piano (left). This electric instrument has had its sounds sampled from actual instruments instead of being cheaply “simulated” by computer. The result is sound every bit as good as reality. 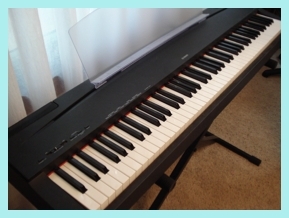 This keyboard can also be amplified using the Bose system shown on the page called “The Harps”. In addition to piano, it has several wonderful pipe organ voicings for when nothing short of the big classic organ sound will do. This portable solution is also a great solution for outdoor events, so long as electricity is somewhere nearby for me to use. updated on events and news! 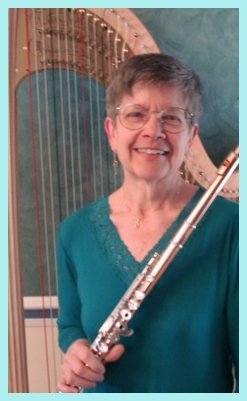 I play both the Concert Grand pedal harp (shown above) or the Celtic lever harp (see the section called “The Harps”. 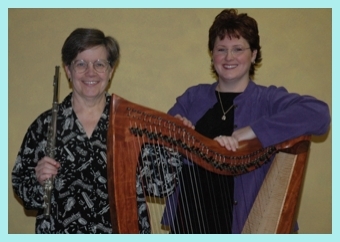 The larger harp is best suited for indoor performances; the smaller harp is my standard outdoor harp and is also ideally suited to Celtic and traditional music. 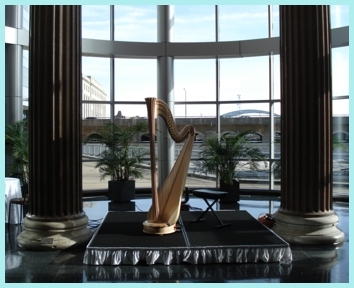 Either harp can be amplified to suit large crowds or acoustically difficult locations. 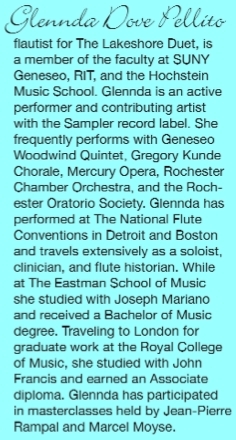 I can help you determine which instrument is the better choice for your event.